Built to Last: Solve all major problems of universal outlet travel adapter. Compactness, Smaller Size, More powerful compatibility and security, simpler operation and user-friendly design. BONAZZA ac universal adapter's construction is Solid and Sturdy unlike some other cell phone travel charger adapters. 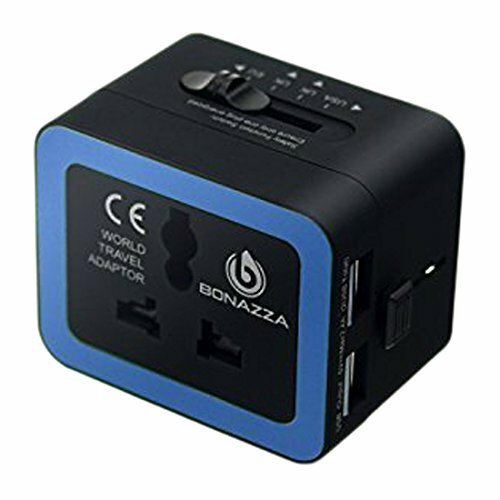 Travel Friendly: BONAZZA BE2T world travel adapter accepts 2 or 3 prong plug outlets from all over the world therefore grounded or ungrounded devices. 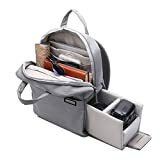 It can be used with Digital Camera, GPS, Electric Razor, Laptop, MP3, Smartphone, iPhone, Tablet, Hair Dryer, Hair straightener, Camcorder, etc. 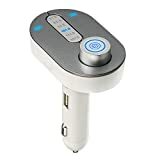 Multifunction: BE2T international travel adapter usb includes 2 lightning USB ports (Output: 2400mA 5V 2.4A) in addition to the standard outlet, can safely charge multiple devices at once. Compatibility: 110V-660W / 240V-1440W. 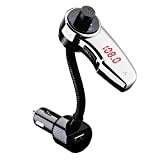 Compatible US, Europe, UK, Australia, Asia, India, Italy, Israel, Japan, China, Ireland, Argentina, Spain, Turkey, South Africa, Swiss. More than 150 countries and regions. Warranty: International travel plug adapter to have for your travel worldwide. Get a cute silicone cable tie as gift. 60 days money back guarantee, Lifetime limited warranty. The smallest universal travel plug adapter you will ever need. Now introducing BONAZZA deluxe world travel adapter. Regular complains about travel adapters: - Clunky and big didn't fit properly. Always loose connection with spark of electricity, easy to fall off from the wall. - The levers when used to extend the prongs is flimsy. Need to yank on the extended prongs to get it to stay in place. - Very easy to blow the fuse. Bright lights affect sleep. No USB port. - Not used of fireproof materials. Poor quality non-customized products. Your benefits with our deluxe universal outlet adapter: - Built to last: We have solved all the major issues of similar products. Compactness, smaller size, more powerful compatibility & security. - Exclusive patent: Children safety gate and protection switch to ensure only one plug is energized. - Use of high quality PC fireproof material, resistant to high temperatures up to 300°. - Comfortable faint blue lights, does not affect sleep. Built-in resettable fuse. Including 2 USB ports that can charge multiple devices at once. 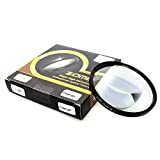 - Compatible US, Europe, UK, Australia, Asia, India, Italy, Israel, japan, china, Ireland, Argentina, Spain, turkey, south Africa, Swiss. More than 150 countries. - CE and ROHS certified. Click the add to cart button now and get your free silicone cable tie with your bonanza deluxe universal travel adapter. N.B. Please note this is not a power bank (no battery inside).